No one wants their children to be on any medication. But nobody wants to have a sick child either. All medications have both benefits and failings. So, as a paediatrician (a children’s doctor), it is my responsibility to find the right balance. Omeprazole is one such medication that needs careful consideration. My preference is to trial diet rather than medication initially (diet-not-drugs). However, we find omperazole a very useful medication. Omeprazole is commonly called Losec. Omeprazole is a very valuable medication that effectively stops acid being made in your stomach. It is called a “proton pump inhibitor”. It has been prescribed for about 25 years, and it is often used for long periods of time – sometimes for decades. It is this long-term use that generates most of these prescriptions. And it has been available over-the-counter in many countries, which suggests that it is a very safe medications. In New Zealand (population 4 million), Omeprazole is the fourth most prescribed medication. Each year there are over a million prescriptions written, with a cost of $10 million [the top three prescribed drugs were #1 Paracetamol (for pain); #2 Aspirin (to reduce cardiovascular risk); and #3 Simvastatin (to reduce cholesterol levels)]. Omeprazole is a very important and useful medication. By reducing the acid in the stomach, it is effective in treating acid reflux/ heartburn: often called GORD/GERD gastro-oesophageal reflux disease. It has an action over about 24 hours, so can be used as a once-a-day dosing. Children with symptoms caused by GORD usually respond very well to omeprazole. Parents often say “she is a completely different child” or “I can’t believe how good he is.” This is great to see. Often babies and children need this medication for up to a year or so. Extensive medical research has found that this medication is “well tolerated, and the incidence of short-term adverse effects is relatively uncommon.” However, as for all medications there is a spectrum of adverse effects/ side effects. These include: headache (in 5.5%), nausea, diarrhoea, abdominal pain, fatigue, and dizziness. With long-term use, hypomagnesemia, and the possibility of Vitamin B12 deficiency has been reported. Rare adverse effects include: rash, itch, bloating, constipation, anxiety, and depression. The risk of a hip fracture increased with the length of time taking PPIs has been reported – this is an adult problem. Also, a small increased risk (a 1.5-fold increase) of community-acquired pneumonia has been documented. The increased susceptibility is thought to stem from the reduction of gastric acid secretion by acid-suppressive therapy. This allows pathogen colonization from the upper gastrointestinal tract. The bacteria and viruses in the contaminated stomach have been identified as species from the oral cavity. These could go on to cause infection. However, this higher risk for pneumonia is really only a problem for patients who are at increased risk for infection. Such as those with asthma, chronic obstructive lung disease, immune-compromised persons, babies, and elderly persons. Clostridium difficile infection has also been reported to be increased with acid suppression. It requires a lot of skill and experience to know what is the best medication for each individual child. As well deciding what drug to start, it is also important to use these medications in the lowest dose possible for the shortest time practicable. Sometimes children (and adults) need these medications for years. If your child is on long-term acid suppression, then he/she will need regular review. There is a lot of very good evidence showing that dairy products can precipitate reflux. Early studies looking at babies with “colic” showed that a third of these babies improved when mother went off cow’s milk. There is a huge amount of data showing that cow’s milk can get into the mothers breast milk and therefore into your baby. Up to 40% of infants with symptoms of gastric reflux are thought to have cow’s milk allergy. However, there are no clear distinguishing features to identify the diet-responsive infants. Most babies with cows-milk-induced reflux present within the first few weeks of cows milk exposure. However cows milk proteins through breast milk can also cause similar upset. Diagnosis is made by elimination of cows milk for up to 4 weeks with subsequent re-challenge. Most of these children will outgrow this by 18 months of age. It is my observation that children who have persistent reflux (that is continuing problems through their second year of life) are usually intolerant to gluten. It is my practice to do gluten antibody blood tests on all reflux children at 18 months of age to see if their immune system is reacting to gluten. The blood test is to measure the level of IgG-gliadin antibodies. Long-term acid suppression affect the stomach and colonic bacteria – it is a good idea to take a probiotic whilst on acid suppression medication. When acid suppression is withdrawn, if this is done suddenly, a rebound of acid is frequently seen. This rebound hyperacidity is caused by increased gastrin hormone secretion which is suddenly able to stimulate acid secretion following the discontinuation of PPI’s. Symptoms of hyperacidity may worsen for a week or so after stopping these drugs. To overcome this rebound, it is best to reduce dose of omeprazole very slowly over a few weeks or even months. By doing this, most children can be successfully weaned off their medication once the gastric reflux has disappeared. Of course, this acid rebound causes exactly the same symptoms as the initial reflux disease. These two similar effects need to be distinguished from one another. Without this knowledge because omeprazole withdrawal can induce the very symptoms they are used to treat, this might lead to dependency on these drugs, if there is no weaning off period. Omeprazole is a very effective and useful medication. However, it does have some problems. It is a matter of balance to decide which children warrant the medication, what dose, and for how long. Use the lowest dose for the shortest time. It is important to make the correct diagnosis and then managed the child with close supervision. Attention needs to be given to the cause of the reflux, whether this is due to a food intolerance or some anatomical anomaly that needs surgery. The physical and nurturing aspects of the treatment of reflux also need to be implemented. My preference is using diet-not-drugs if possible. 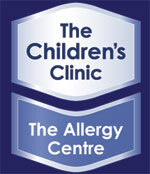 The Childrens Clinic is expert in managing children with gastroesophageal reflux disease.